Lock in a great price for Hostal Casa Colibrí – rated 8.6 by recent guests! Really beautiful place. good place to meet people. Good Location. I didn’t like anything. Staff was good but the owner never smiles man. I could find English speaking staff very hard. I couldn’t ask anything. Room is always dark. Only location is good. This hostel is in the middle of a great neighborhood close to museums, food, and bars. 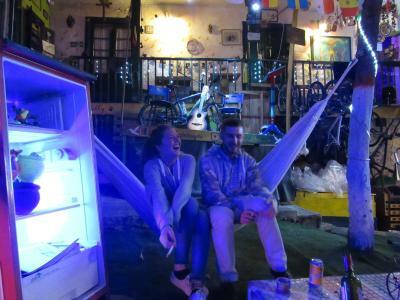 The staff are friendly and helpful, and the hostel overall is a chill place to get away from the craziness of the city. I stayed here over two weeks and it was great place to stay and meet other travelers. I really like this place ! All the stuff was very nice and helpful ;) positive and friendly atmosfere to spend some time, relax and chat with people. Hostel is really close to the all main atractions in the city, so you can easily walk everywhere . The ambiance was neat and eclectic. Good location in Candelaria and had good security. 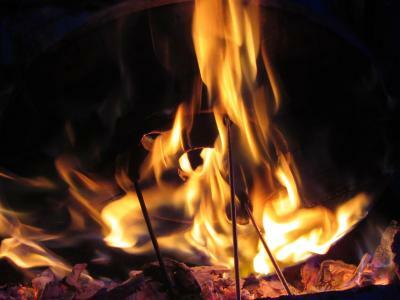 They have bonfires at night, which is a fun touch. One of our best sellers in Bogotá! 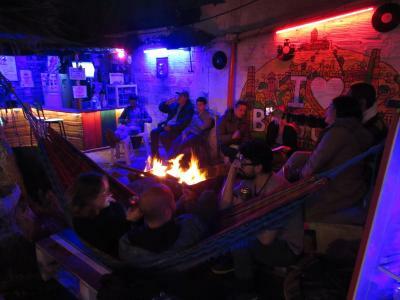 Hostal Casa Colibrí offers accommodations in Bogotá. Guests can enjoy the on-site bar. The property is set 500 feet from Museo del Oro, while Plaza de Bolívar is 1,950 feet away. A balcony or patio are featured in certain rooms. Each room is equipped with a shared bathroom. Parque De Los Periodistas is 100 feet from Hostal Casa Colibrí, while Luis Angel Arango Library is 1,650 feet away. El Dorado International Airport is 8.7 mi from the property. 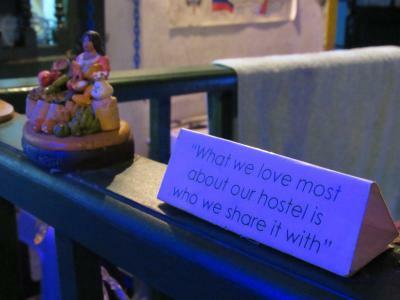 When would you like to stay at Hostal Casa Colibrí? Public parking is available at a location nearby (reservation is needed) and costs COP 25000 per day. House Rules Hostal Casa Colibrí takes special requests – add in the next step! Hostal Casa Colibrí accepts these cards and reserves the right to temporarily hold an amount prior to arrival. Not clean. Uncomfortable bed. Loud. Nice lively courtyard. Great location! I didn’t like this hostel. Expensive also. We have to share bathroom with the visitors staying at the same floor, which make it more crowded in morning peak time. The showers were cold. Some of the staff called us all guys even when we weren't. facilities were a bit dirty and worn out, and there was usually a bit smell of cigarettes in the rooms. facilities in general could use some sprucing up. staff were friendly and helpful with answering questions. 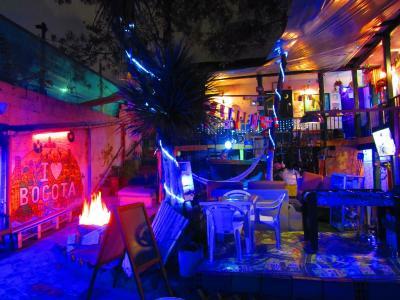 located right in la candelaria which is good for people looking for that type of nightlife. It's an incredibly cheap hostel in the middle of the main tourist district in Bogota. So although it may not have the best facilities, they were more than adequate for the price I was paying. A bit chilly at night!